← Did polar bear numbers in E. Beaufort fluctuate each decade due to thick ice years? The next year you return to your study area and randomly capture four more bears. However, only two are marked with a white cross. Now the researcher must decide what happened to the two missing bears that were marked last year. Did they die or did they avoid detection? Assuming they avoided detection, then survival is estimated to be 100%. 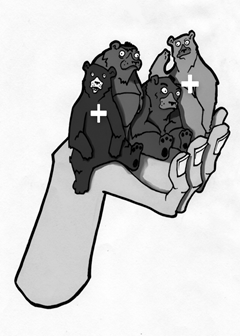 Since the two recaptured bears represent half of last year’s marked bears, the models assume the four bears captured during the study’s second year similarly represent about half of the total population. So the models estimate that there were at least eight bears within the study area. Apparent survival rates are heavily biased by any migration in and out of the study area. The earliest mark and recapture models were tested on rodent populations, and the statisticians warned that barriers should be erected to prevent the rodents from moving. Otherwise all statistical calculations were totally unreliable. But that tactic is impossible for highly migratory polar bears. Unlike other species that defend a territory with reliable resources, polar bears never defend territories. They walk and swim across great distances and will congregate wherever the Arctic’s ever-shifting food supply becomes most abundant. A study of radio-collared female bears denning on Wrangel Island determined that after the bears left the island they travelled an average distance of about 3700 miles.2 Although much of their travel is confined within a less extensive region, one radio-collared female was observed in Alaska in late May and tracked to Greenland by early October.3 Such wide-ranging movements allow rapid adjustments to the Arctic’s annually varying food supplies. However it presents great difficulties for any mark and recapture study. Deciding if a bear was travelling or died thus becomes guesswork, and the amount of guesswork increases with shorter studies. Instead of erecting barriers, a small percentage of female bears are equipped with radio collars. (Males have such big necks the collars will slide off. Young bears outgrow their collars too quickly and could choke themselves to death. So typically only adult females are collared.) Because collared bears can be tracked, there is no guesswork unless the batteries die. If a radio-collar remains in one spot for a long time, researchers locate the collar and determine if the bear died or just lost the collar. The vastly more accurate survival-rate data produced by collared bears is called “biological survival”. Researchers normally use biological survival to evaluate the accuracy of “apparent survival”. For example, if a large percentage of collared bears survived but simply moved out of the study area, then researchers assume a similar percentage of marked bears had also moved away. In that case, a low apparent survival rate was an illusion due to temporary migration and the avoidance of detection, not death. Amstrup diligently followed up his earlier study on the apparent survival of South Beaufort Bears using radio-collared bears over a 12-year period. It turned out that his high-end apparent survival estimate of 94% was still too low. If only natural deaths were used, polar bears had a 99.6 % biological survival rate.4 Most bears died at the hands of hunters. If death at the hands of hunters was also considered, then biological survival was still higher than apparent survival, but fell to 96.9%. In 2001 Amstrup concluded that the South Beaufort Sea population was increasing and the current hunting quotas insured a growing population. 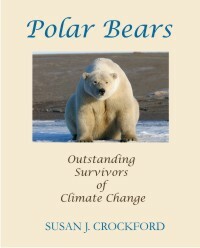 In their first USGS report, the authors demonstrated high integrity in their analyses and were upfront about the problems of their models, writing, “the declines we observed in model-averaged survival rates may reflect an increase in the number of “emigrants” toward the end of the study, and not an actual decrease in biological survival”, and they noted male bears had exhibited unusually high transiency.5 When apparent survival rates were high, only 24% of the collared females had wandered outside the study area. In contrast during last two years of the study when apparent survival plummeted, the number of collared bears wandering outside the study area had nearly doubled to 47% in 2005 and 36% in 2006, but they never published their biological survival rates. They chose to dismiss the high percentage of bears migrating out of the study area and subjectively chose to argue fewer captured bears meant more dead bears. The authors oddly argued that using 18 years of data the bears are eventually observed in the study area. In keeping with my human/supermarket analogy, it was the equivalent of labeling all your neighbors dead if you don’t see them in the market over a two year span, because over a ten year period you always see them at least once. We need Steve McIntyre to do a polar bear audit! Their abstract also implied “a decline in cub recruitment” to support their model’s uncharacteristic dip in survival rates. But that too was an illusion. Recruitment compares the number of cubs in the spring with the number of cubs in the fall. Using older studies their observed results found that the number of cubs per female had increased between 1982 and 2006 during the spring. This would be expected. When the female body condition increases, they usually produce more cubs.8 To counteract that good news, the authors then argued there was a decline in cubs during the fall, and thus a decline in recruitment. However they had not surveyed in the fall since 2001.7 They were using deceptive zombie data to support a bad model. That is how global warming advocates counted bears to refute the claims of the Inuit. 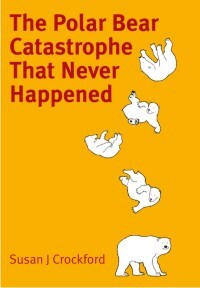 That was the driving evidence that led to the uplisting of the polar bear as threatened species. 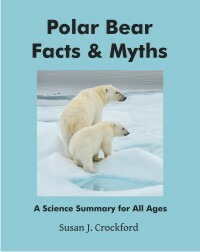 Based on such studies Dr. Derocher, chairman of the IUCN’s Polar Bear Specialist Group (PBSG) warned, “It’s clear from the research that’s been done by myself and colleagues around the world that we’re projecting that, by the middle of this century, two-thirds of the polar bears will be gone from their current populations”. 2. Garner, G. et al. (1994) Dispersal Patterns of Maternal polar bears from the denning concentration on Wrangel Island. Int. Conf. Bear Res. and Manage. vol. 9, p. 401-410. 3. Durner, G., and Amstrup, S. (1995) Movements of a Polar Bear from Northern Alaska to Northern Greenland. Arctic, vol. 48, p. 338– 341. 5. Regehr, E.V., Amstrup, S.C., and Stirling, Ian, 2006, Polar bear population status in the southern Beaufort Sea: U.S. Geological Survey Open-File Report 2006-1337, 20 p. pdf here. This entry was posted in Conservation Status, Guest post, Population and tagged Amstrup, Beaufort Sea, counting polar bears, Derocher, guest post, Jim Steele, mark-recapture, Polar Bear Specialist Group, population estimates, population size, recruitment, Southern Beaufort, survival. Bookmark the permalink.